Boy what a day it has been! 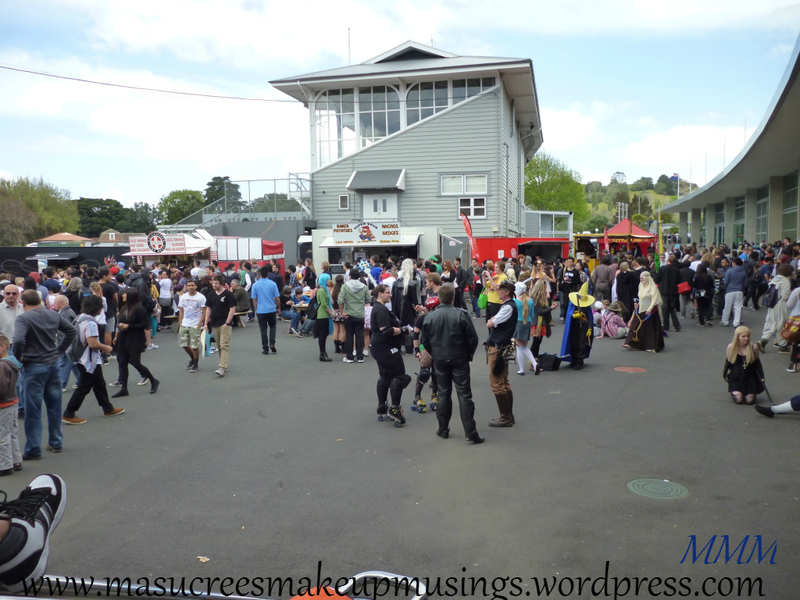 Today was the first day of the Auckland Armageddon expo. I went with my friend Krystal and Mr Gabby. We got up bright and early for a Saturday to ensure we got there on time. 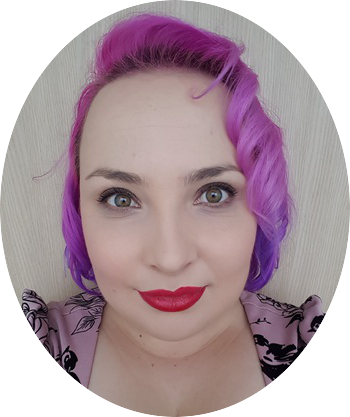 Click through if you would like to see some of my photos. In advance I apologise for the amount of them and the lighting in some of them. The line for e-tickets was pretty long and we were almost at the door. 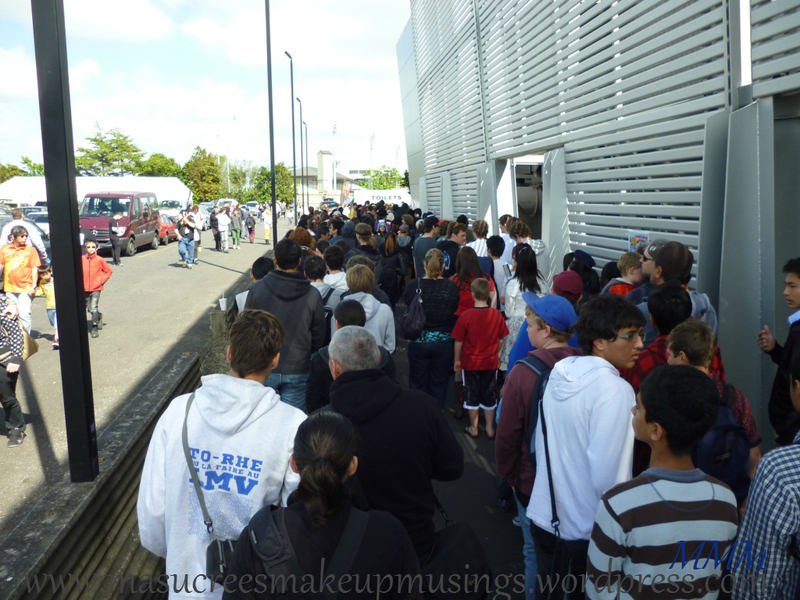 The line for people buying tickets at the door was almost three times as long. When we left at 2pm the line was still huge 😮 Glad we got there bright an early. Even bright and early there was already a bit of a crush. At least there were places to chill outside away from all the sweaty people. One of my favourite stalls was the Retro Space stall. 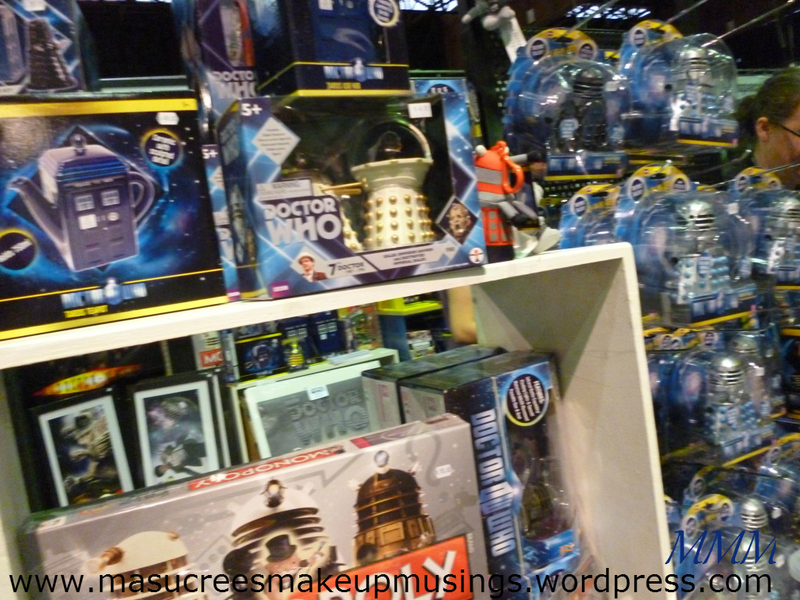 ALL THE DOCTOR WHO SWAG! 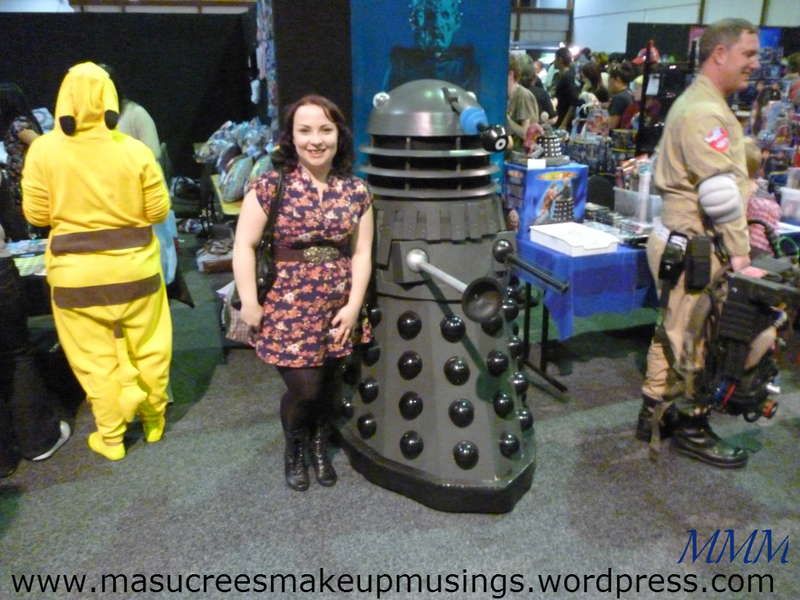 They also had a Dalek that was bigger than me! 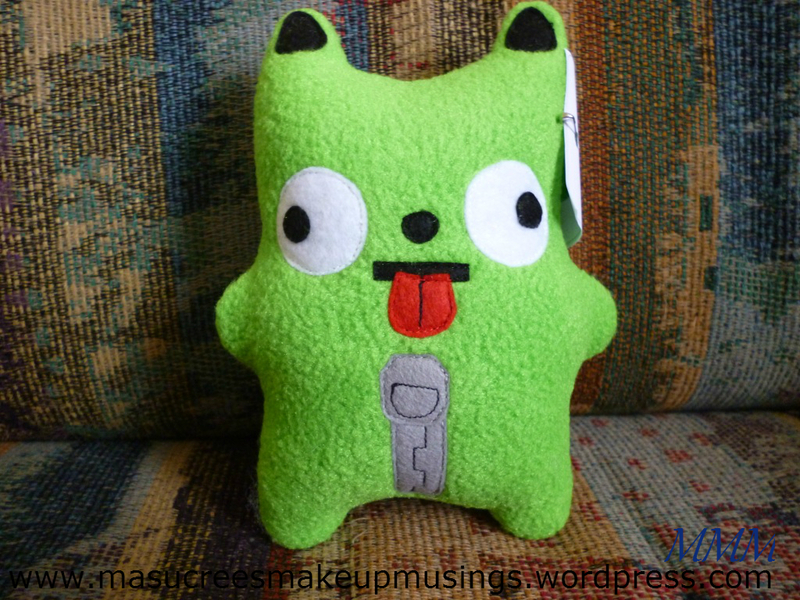 EXTERMINATE! 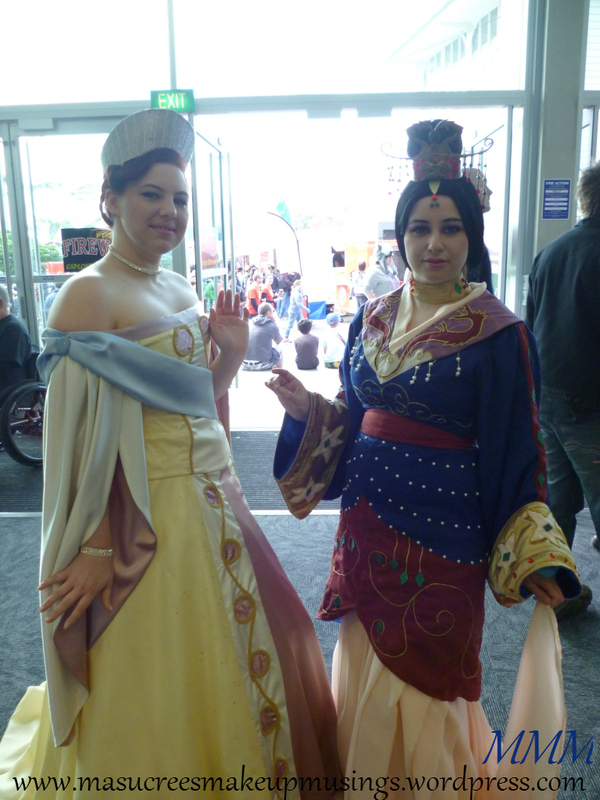 There was some fantastic Cosplay this year, these two lovely ladies were Disney Princesses Anastasia (Left) and Mulan (Right). 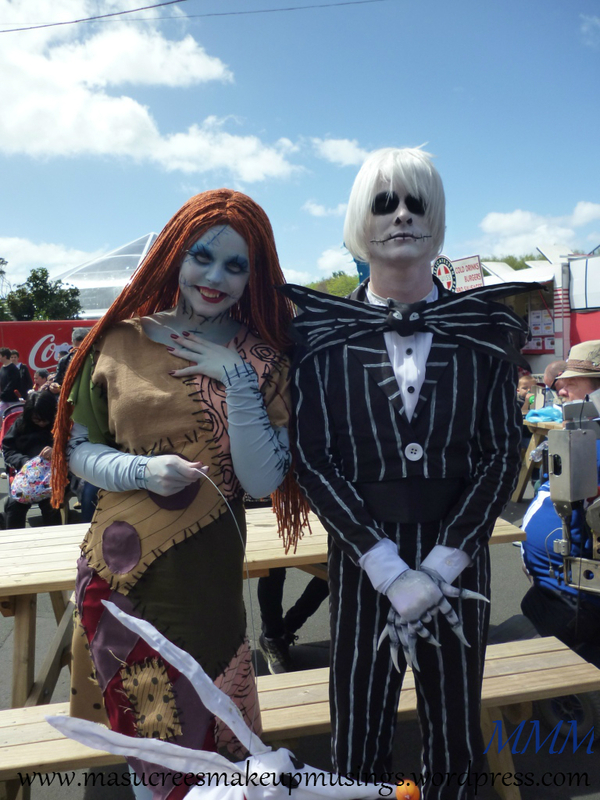 Jack and Sally from Nightmare Before Christmas. 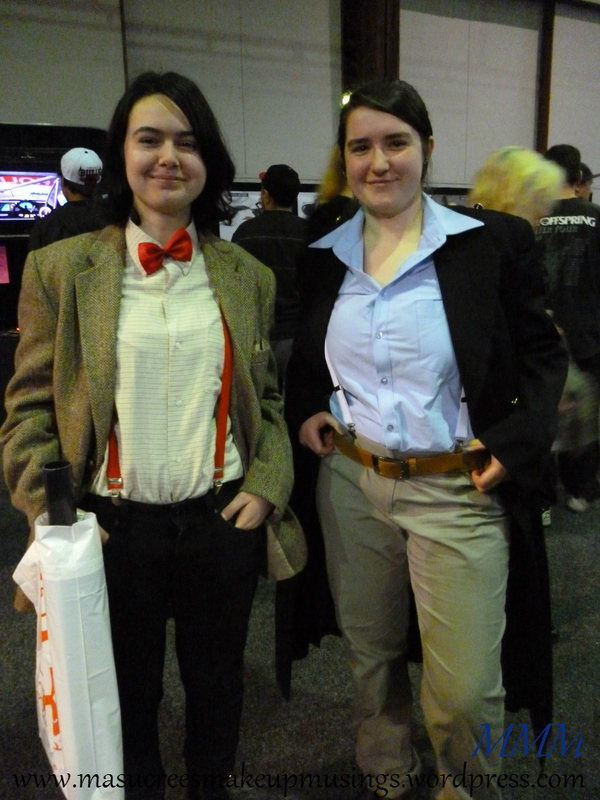 Eleven and Captain Jack Harkness from Doctor Who. 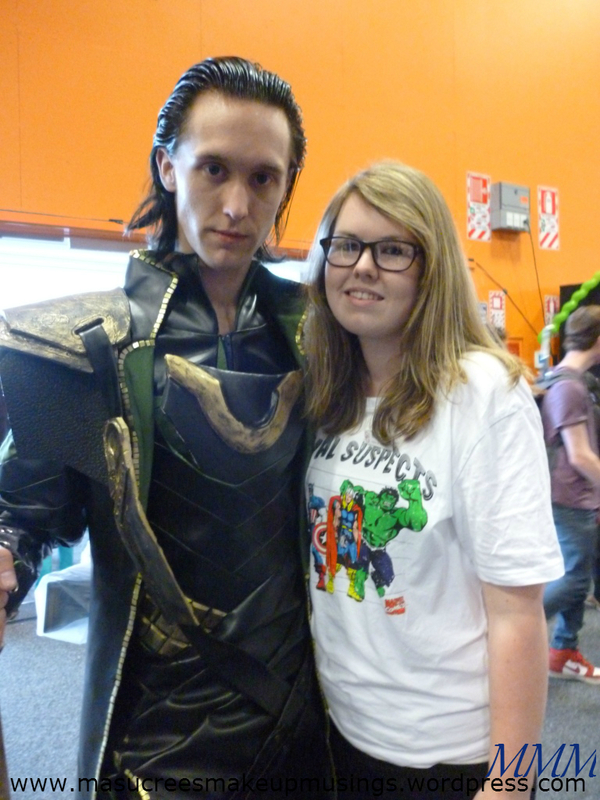 My friend Krystal and one of the best Loki Cosplays I’ve ever seen. We totally fangirled all over him! 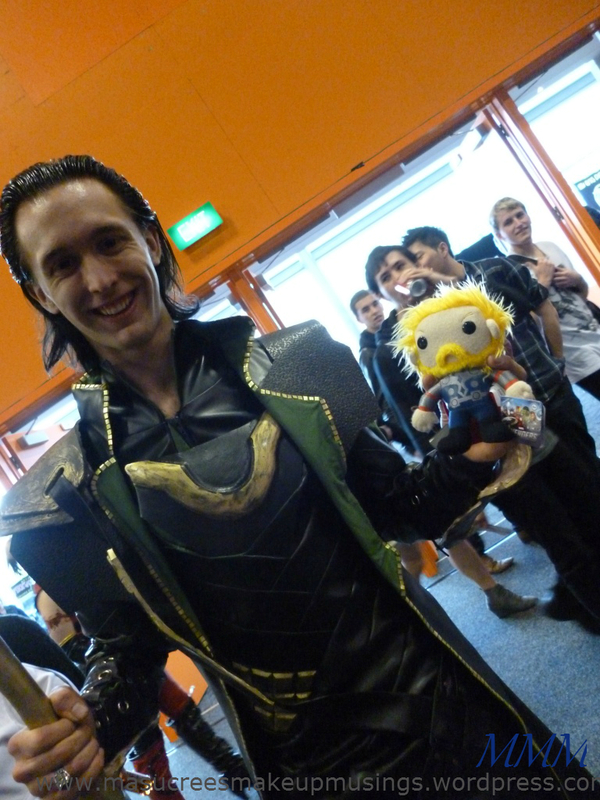 Loki was also a good sport and let me take photos of him with my Thor plushie. 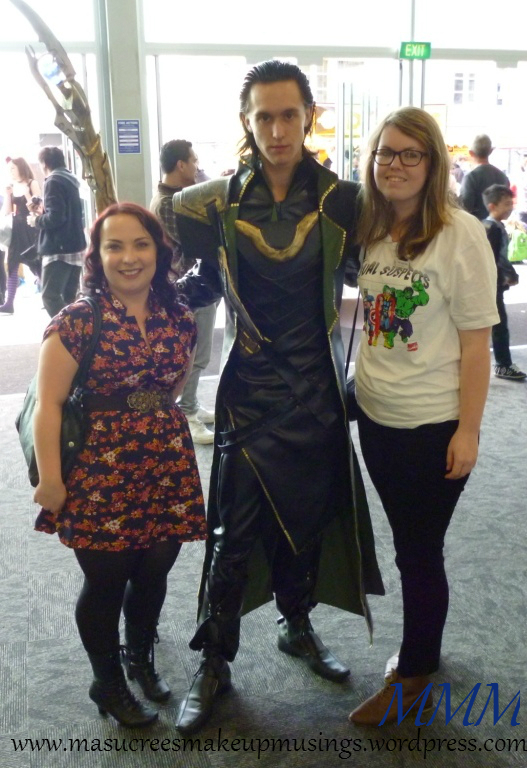 Gah he was so tall! 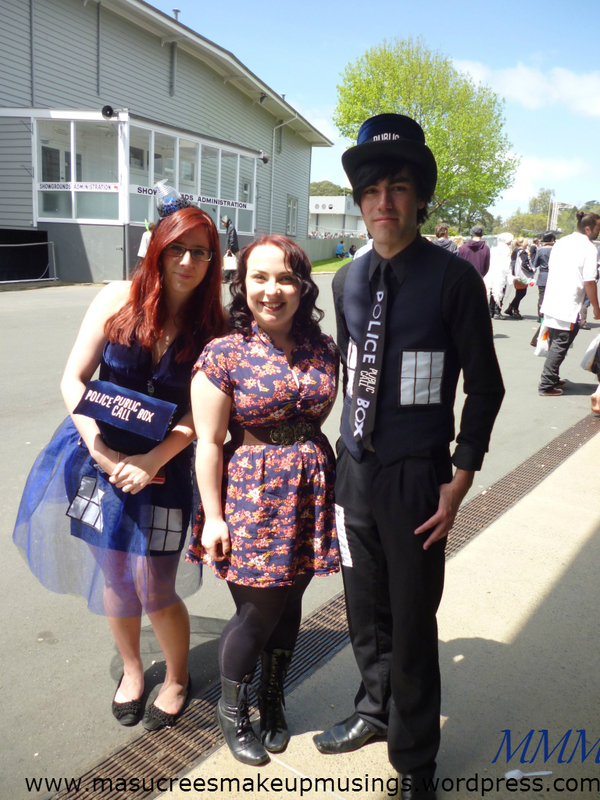 These awesome people were dressed like Tardises (or Tardi?) 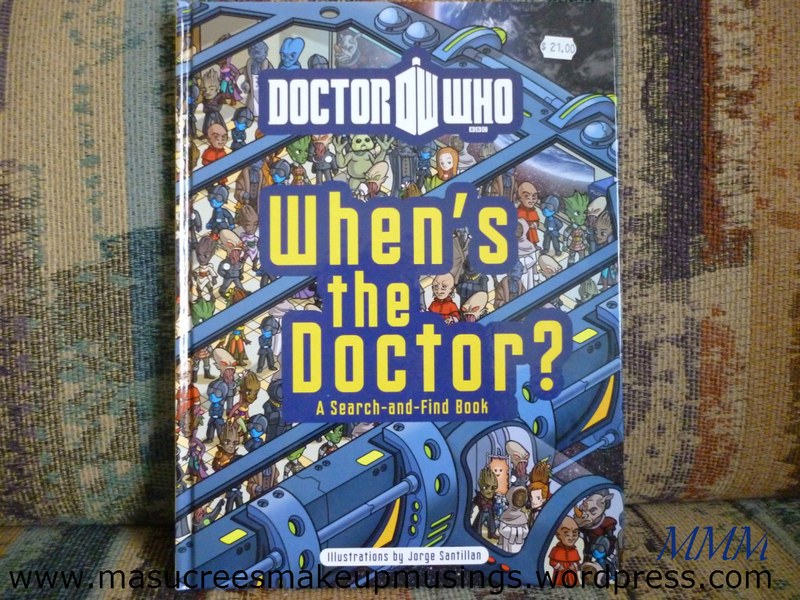 from Doctor Who. 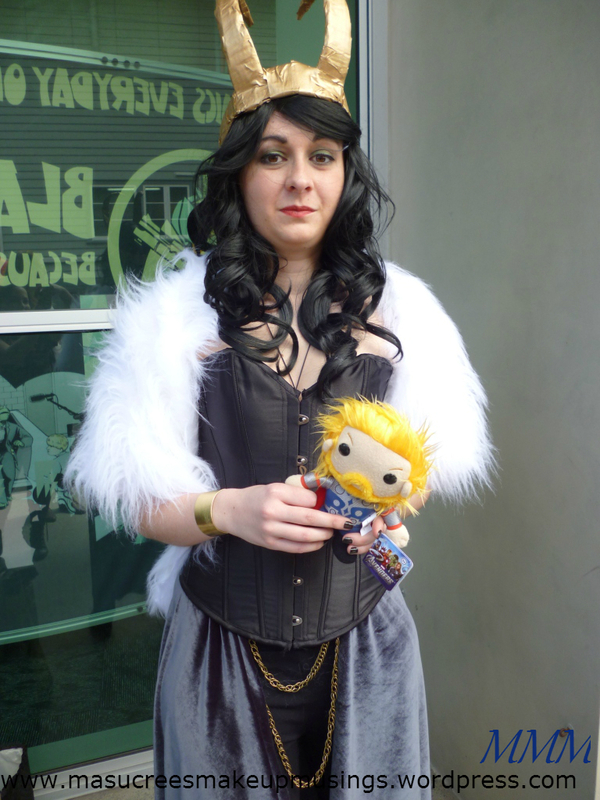 There was also a Lady Loki…she was also nice and held my Thor plushie. 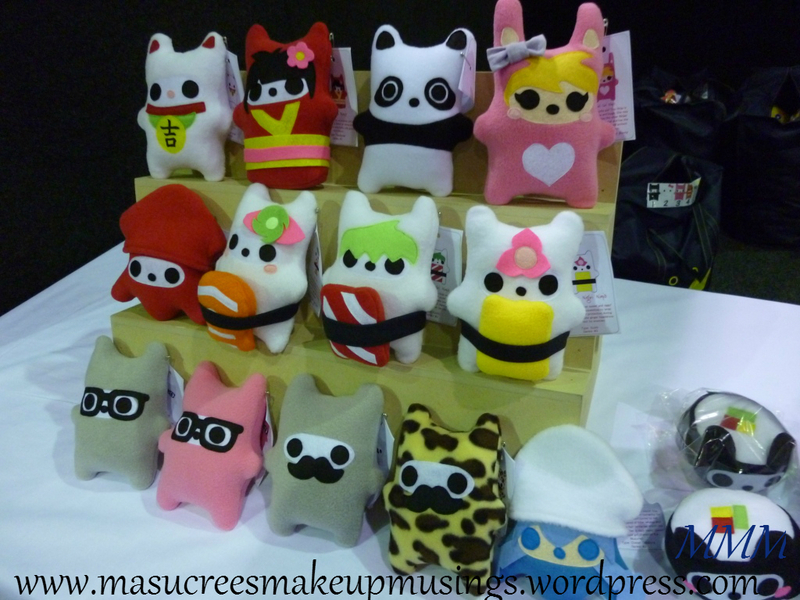 My most favourite store of them all was the Ninja Bears Stall. 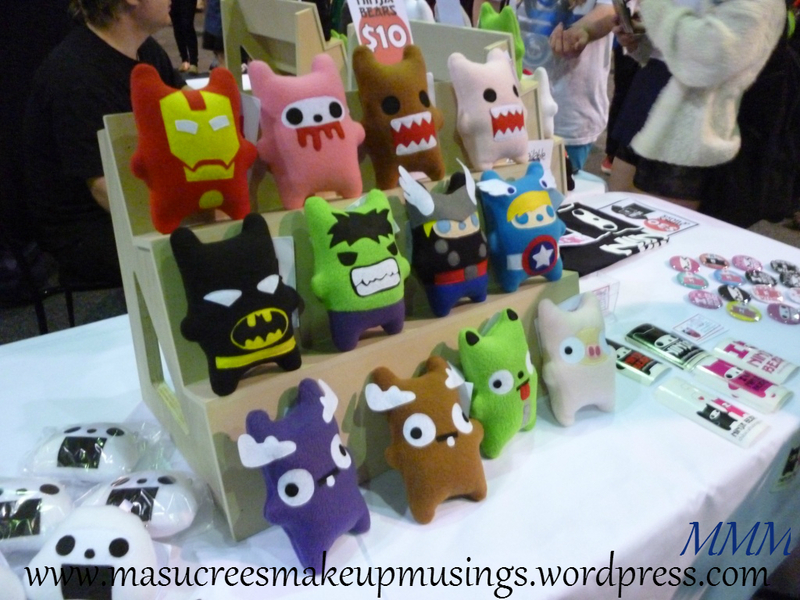 The lady behind the stall did not seem too worried that I was stalking her stall and came back several times :3 She even let me take photos of all her cute creations. 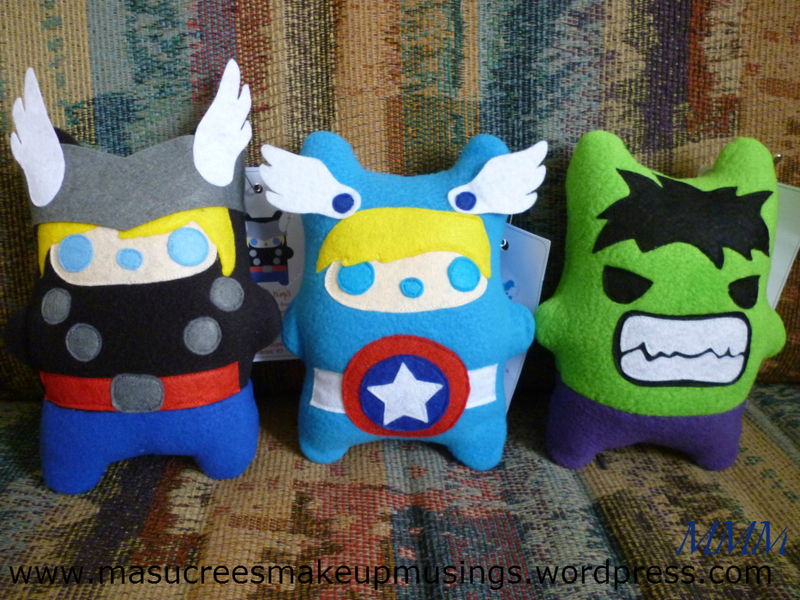 Look at all that cuteness!! 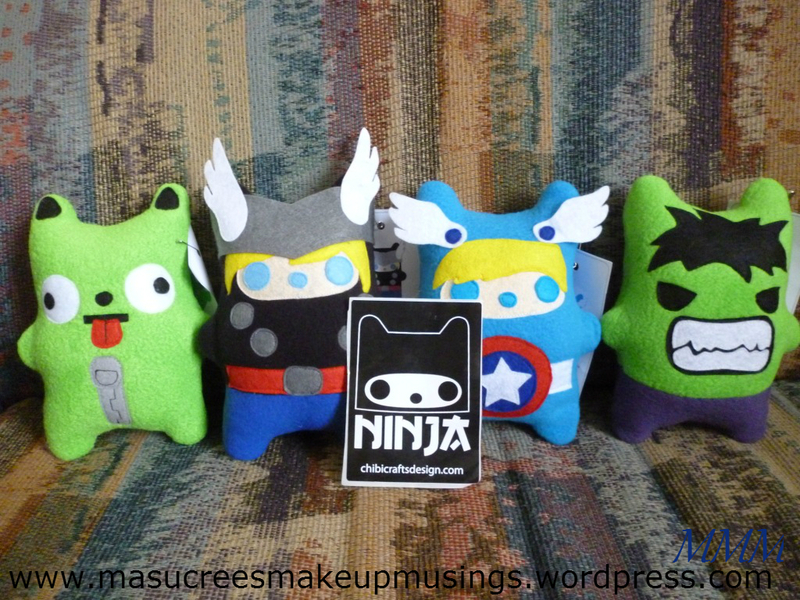 I scored four Ninja Bears! 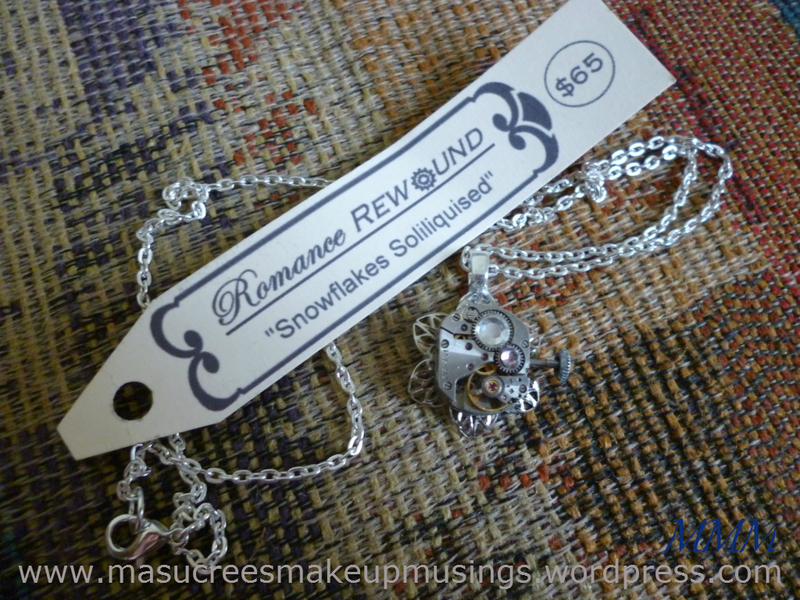 At $10.00 each how could I say no? 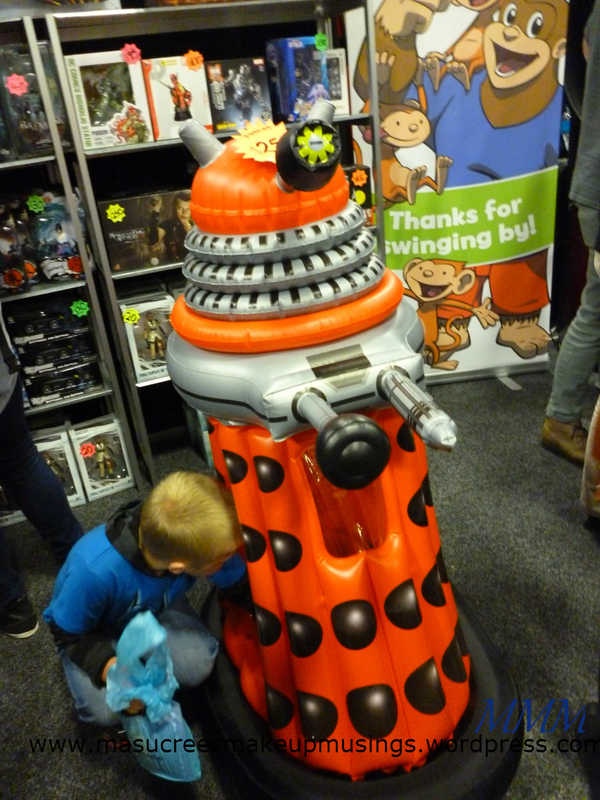 Though poor little Iron Man is still at Armageddon…all by himself…Mr Gabby wouldn’t let me go back for him. 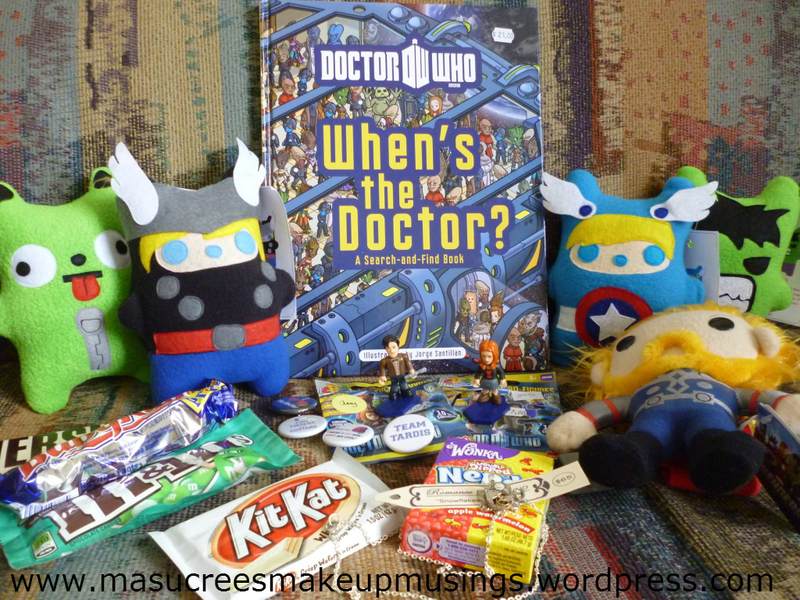 I brought candy, Doctor Who figures, Doctor Who Where in the World book, Doctor Who pins, Avenger plushies and a stunning necklace. 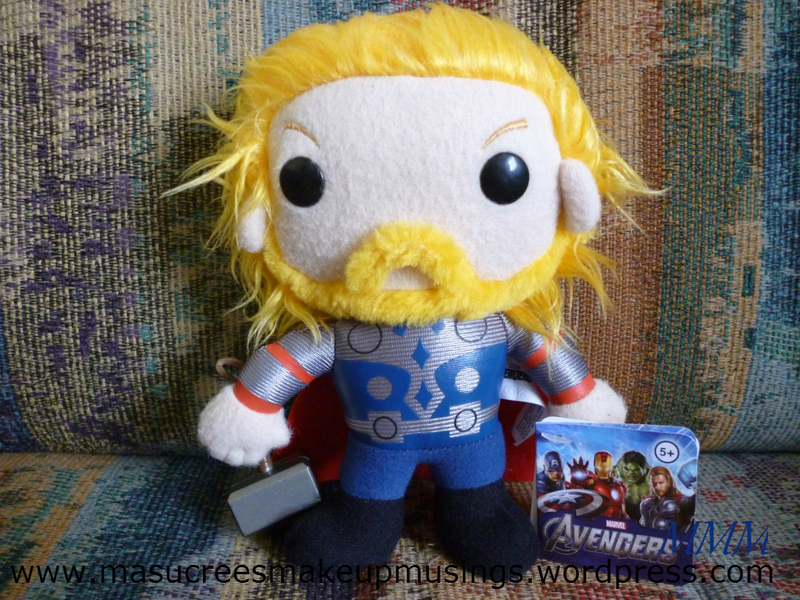 This was the little Thor plushie that I was inflicting upon all the poor Avenger Cosplayers :3 SO CUTE! So now I’m super duper tired, but extremely happy with a Saturday well spent. 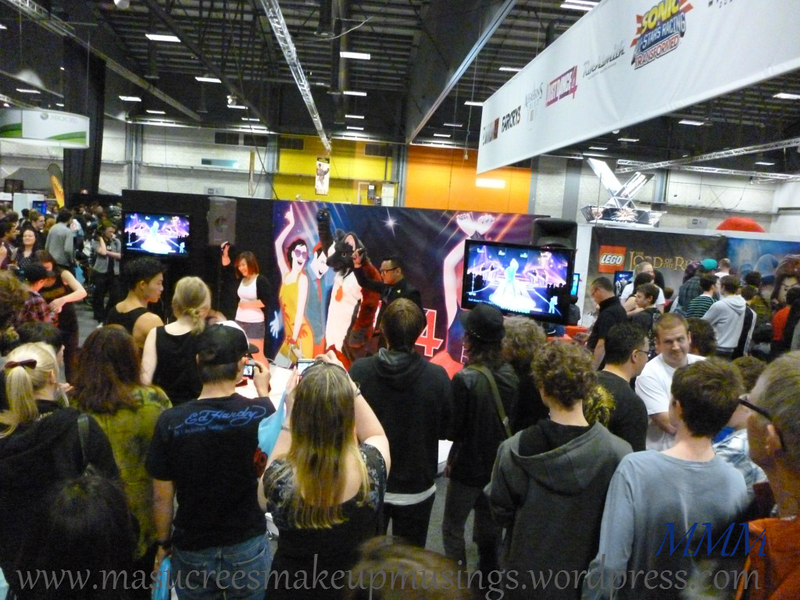 Thanks to all the cosplayers who put up with us and thanks to Mr Gabby who drove us there. Mint M&Ms are literally the BEST. Ah! i had a fantastic day with you! and man i still cant get over Mr. Loki. 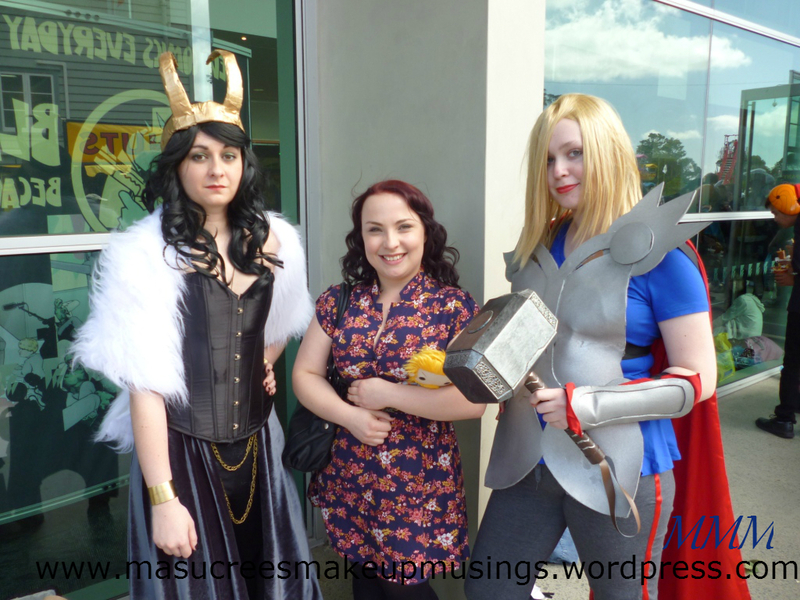 That is cosplayer lokis name now. Mr. Loki. ehehehe! 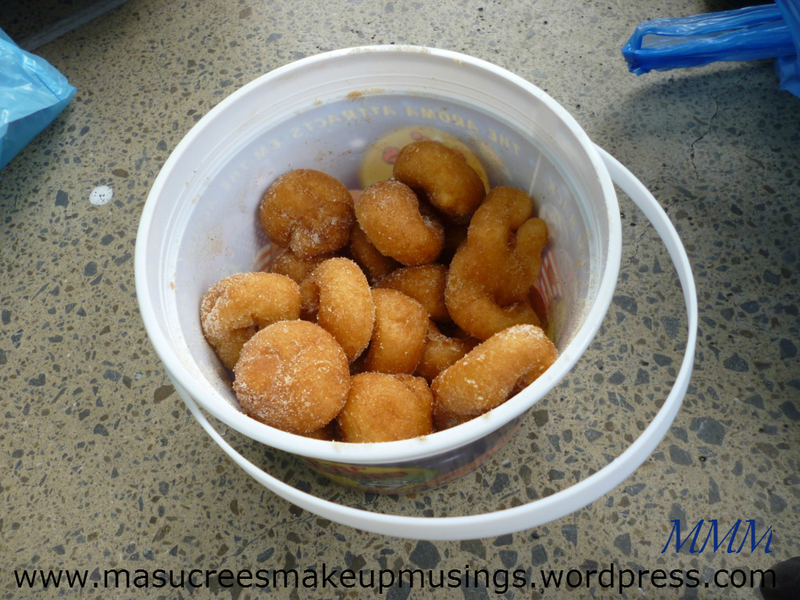 oh boy oh boy, i do like your goodies! TWAS SUPER FUN!